The race is on to get enough port capacity to support the big bombers once they get up to speed here. All that bomb tonnage has to go from shore-to-ship-to-shore before it is delivered by air to Japanese factories and harbors and airfields. I was deposited back on to the largely naval side of the island, where I could forage for basic essentials I would need until my luggage showed up from Guam. A stunning bit of news came and stuck around today. 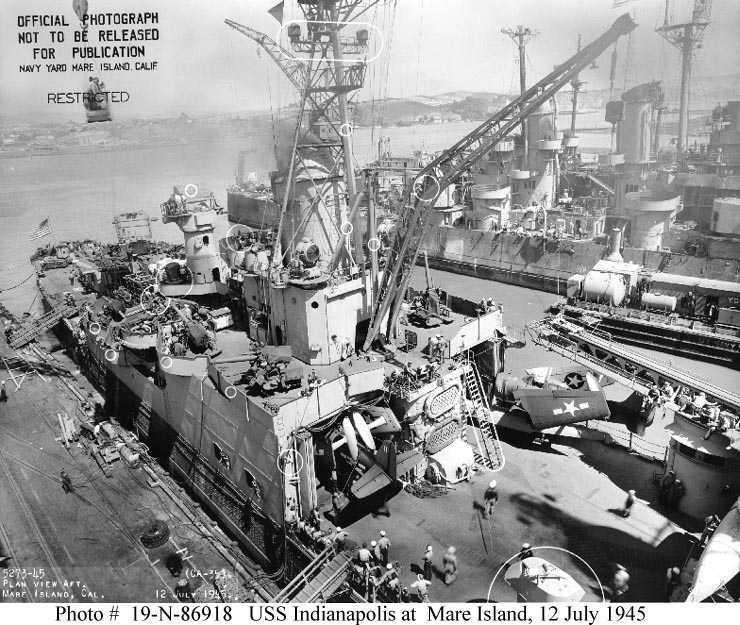 Unofficial reports say the large cruiser USS Indianapolis was sunk with great loss of life over a week ago. I checked up and there is no official word or press report about it, but guys ‘in the know’ swear that radio traffic went around about a big search and rescue operation that should be still going on.